Picking up eggs at the grocery store is about more than opening up the carton and checking for cracks. With so many choices in the refrigerated section, it can be overwhelming. What the heck is the difference between conventional and cage free, free range and pasture-raised? So many choices, so confusing. Well this poultry-raising family is here to “Crack the Egg Code” by offering a handy little reference guide courtesy of Egg Nutrition Center and the American Egg Board. Laid by hens not housed in enclosures. Hens roam in a building, room or open area that includes nest space and perches. Laid by hens in enclosures that include perch space, dust bathing or scratch areas and nest space. This type of housing combines the advantages of conventional housing with the enrichments of cage free. This system is not widely used today. Laid by cage free or free range hens raised on certified organic feed and have access to the outdoors. The feed is grown without most synthetic pesticides, fungicides, herbicides, or fertilizers and 100% of agricultural ingredients must be certified organic. Laid by hens not housed in enclosures and with access to the outdoors. In addition to eating grains, these hens may forage for wild plants and insects. Laid by hens who roam and forage on a maintained pasture area. 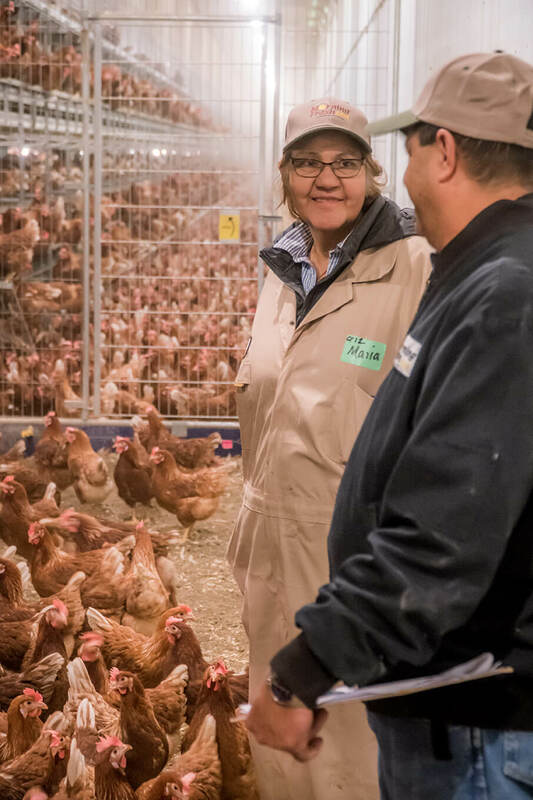 The USDA does not recognize a labeling definition for pastured eggs as no standards are established. The color of the egg shell has nothing to do with the egg’s nutritional value, quality or flavor. Hens with white feathers and white ear lobes lay white eggs; hens with red feathers and red ear lobes lay brown eggs. (brown eggs tend to be more expensive than white eggs as brown hens are generally larger and consume more food). Laid by hens fed a special diet rich in omega-3’s. These eggs provide more omega-3 fatty acids from 100 mg to over 600 mg per egg. Laid by hens fed a vegetarian diet. So what types of eggs does our family farm produce? We gladly produce many of the above choices including conventional, cage free, white and brown, vegetarian and omega-3 (nutritionally enhanced) eggs. We also offer organic eggs sourced from another family farm in Utah.